An immense power is hidden in each and everyone of us, but for most of us it remains dormant in our subconscious all along. In order to access, activate and consciously manifest this hidden potential, we need to learn how to access dormant subconscious information and render it conscious. This is the purpose and specific qualification of Multidimensional Music to harmonize the different dimensions of our multidimensional being and to align them in order to recover our wholeness. Each one of these CDs is a little mark stone showing the way on the path of awareness & allowing progressive rehabilitation, memorizing, recognition, integration & manifestation of our full cosmic inheritance. To complete your cosmic journey and to recover wholeness, it is recommended to listen to the whole collection of CDs in order to activate specific resonance of the different dimensions of the SELF. To undertake this journey of self discovery and self recovery, it is first needed to identify and render conscious imprints of suffering, fragmented energy caused by repressed traumatic experiences we have accumulated since we were born and before. THESE CD's OPEN UP THE DOOR of our INNER SOURCE OF LIGHT and ENERGY. They stimulate a CONSCIOUS ACTIVATION of repressed emotional memories as to RECOVER ENERGY, VITALITY, and PROVOKE DEEP RE HARMONIZING at CELLULAR LEVEL as well as ALIGNEMENT of MULTIPLE DIMENSIONS OF THE SELF. This album is a powerful invitation to reconnect with OUR COSMIC ORIGINS. This album activates emotional relief of the past and energy recovery. This double album allows for SHAMANIC journeys and CELLULAR cleansing of traumatic memories inherited from the past. When our mind no longer listens to our soul purpose, profound disfunctioning of our whole being occurs. When our mind dictates its law to our body, it ensues chaotic, disorganized patterns of energy impeaching proper harmonic cell functioning. If nothing is done to restore energetic integrity, disorganizing of our immune system will follow causing severe health problems. IT'S TIME TO REMEMBER WHO WE ARE, IT'S TIME TO RECONNECT WITH THE LIGHT WITHIN ! IT'S TIME TO RELEASE EMOTIONAL CLUSTERS PREVENTING FREE FLOW OF ENERGY. IT'S TIME TO GO ON SHAMANIC JOURNEYS TO RE ESTABLISH PROPER CELL RESONANCE AND RECOVER ENERGETIC INTEGRITY. These 4 CD's are designed for further discoveries on the journey towards our cosmic source and enable our opening to the highest qualifications of our SOUL : RENEWED INSPIRATION, FLOW OF CREATIVITY, PURE INTUITION and SPIRITUAL EVOLUTION. This album brings back memories of the eternal journey we have undertaken since consciousness has emerged through the different worlds and realms manifested by the creative spirit. If traumatic memories have been buried deep under level of awareness, they will be healed. This album offers soul retrieving, total purification and peace along this voyage towards the TAO. This album offers free flight and transcendence in the eternal stillness of our being. We can dance in the sky, after we let go of attachment to suffering. Ideal for HYPNOSIS and SELF HYPNOSIS. This album has been especially designed for awakening and multiplication of latent potential, this CD activates and causes emergence of dormant information present in our DNA. IT IS A POWERFUL TOOL FOR ACTIVATION, UNFOLDING and easy ADAPTATION TO NEW TIMES COMING. DOUBLE CD INSPIRATION CONTAINS 2 CD’S (60’ each). LISTENING IN ALTERNANCE TO THIS DOUBLE CD CAUSES INTEGRATION OF YIN & YANG POLARITIES & FURTHER UNIFICATION OF THE MULTIPLE DIMENSIONS OF OUR COSMIC SELF. Ideal CD for artists in search of inspiration and all those eager to tap into the true powers of our cosmic being. 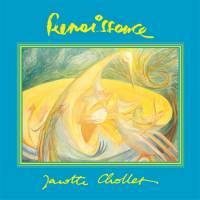 This album has a calming effect on young children, nervous pupils and anxious students. It is an efficient tool for intellectual work and psychic concentration. and to ease a restorative sleep. RECONCILIATION restores self-esteem and favours a new vision of oneself as the true creator of one’s own life. It provides perfect balance between high, medium and base sounds and helps reconciling with oneself and others through heart opening, access to forgiveness and compassion, easy meditation and deep relaxation. ANTI STRESS, GENTLE HEALING OF ENERGETIC ENVELOPE, EMOTIONAL INTEGRATION. SELF CONFIDENCE, MULTIDIMENSIONAL RECONCILIATION WITHIN AND AROUND. An ESSENTIAL album for accessing spiritual healing, energetic balancing, hemispheres synchronizing, multidimensional aligning, unconditional love, joy, serenity and inner peace. Listened to at low volume, this CD is very good for providing quick and easy sleep to babies. SPIRITUAL HEALING, EMOTIONAL and STRESS RELIEF, HEMISPHERES SYNCHRONIZING, RESOURCING. TENDER, FLUID, ENERGETIC and REGENERATING, CD ESSENCE OFFERS CRYSTAL SOUNDS PROVIDING MULTIDIMENSIONAL ALIGNING. A CD to vibrate in tune with the heartbeats of the universe, dissolve attachement to old patterns of duality and open up to the new awareness that we are one. A bath of pure energy and unconditional love living with our head in the stars and our feet on the ground. A multi-dimensional journey to the heart of the cosmos ! UNCONDITIONAL LOVE, LET GO, NEW CONSCIOUSNESS, RESOURCING, UNIFICATION, DEEP REGENERATION, MULTIDIMENSIONAL HARMONIZING, DEEP HEALING. The 12th album of our collection: “Listening to the SELF, recovering our wholeness" . A very soothing album to reduce stress level, balance energy and gently help recovery from episodes of depression or burn out. It is also a precious guide towards deep states of inner presence, meditation and self hypnosis. Listening to it opens to a more intuitive, creative and spiritual way of life. CD good to be listened to at any age and under any condition. The vibrant energy of bliss and serenity contained in this CD provides our cells with precious positive energy. Its vibration counterbalances the destructive effects of stress caused by fear, anger, suffering. 62 minutes of happiness to anchor body and soul into peace, light, joy, clarity, freedom and well being ! This CD provides easy flow of joyful and light energy . An indispensable CD when life seems too hard, good for convalescence after surgery and quick recovery. Good for all at any age and under any condition ! Holistic healing, consciousness expansion, full activation of subconscious dormant potential. IT AWAKENS A HOLISTIC MULTIDIMENSIONAL PROCESS. According to your own feeling you may as well start your journey with any album you feel most attracted to as well as tackle to those which sound more difficult in order to heal. If you keep listening to the same album all along, due to repetition and habit, your mind will pretend it already knows the music, a fact which prevents a deep resonance process to occur. While you may be easily in harmony with frequencies present in one of the CDs, you may not be tuned to certain combinations of frequencies contained in other CDs. Exploring the whole of this healing music collection will teach you how to recover WHOLENESS, FLEXIBILITY, INTEGRITY ensuring better adaption to the GREAT SHIFT humanity is experiencing right now as INDIVIDUALS and a WHOLE. Reconnect with your real self, explore your multidimensional self, be your whole self. Become the conscious creator of your life, experience joy, serenity, transcendance, embody the light of your essence. To optimize the efficiency of this music read our listener's guide. 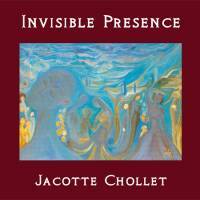 INVISIBLE PRESENCE is a powerful CD bringing forth a connection with invisible realms and the light within. The musical tonality of the album brings fragrances from Hindu music. Energizing CD, excellent for connecting with cosmic SELF, meditation, consciousness expansion, restructuration of bioenergetic field, cleansing and restructuration of energy in places charged with dissonant memories. An incredible low theta journey into the heart for A meeting with THE SOLAR LOGOS ! RENAISSANCE is an invitation to conscious rebirth. Its liquid sounds and tonalities bring emotional relief and energy recovery. 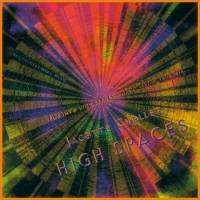 This CD is the favorite of most as it is both spatial, harmonic, energizing and flowing. THIS IS THE REAL THING ! Some of the most intensely Physical and overtly HEALING synthesis I had the pleasure of experiencing. Classically beautiful, majestic and fully realised. My spinal column seems to be charged with an inner radiant flow that easily passes down the length, removing small blocks in the inner cord. Photonic swirling is recocheting inside my cranium for eternity and it feels great ! By the end my head feels clear and I am much more focused in my attention and more present. Completely new aspects keep leaping out with each listening. 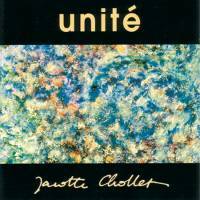 UNITE is a powerful tool for inner unification. CD 2 initiates a shamanic journey to the depths of the being. It has the power to connect with lost fragments of SELF and to UNIFY them. This double album is an essential stage in SELF HEALING, global transformation and inner UNIFICATION. 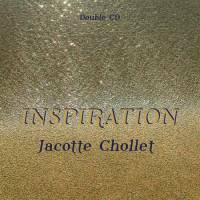 2CD SET CONTAINS THE MOST SUBLIMELY MYSTERIOUS AURAL SCULPTURE IN CHOLLET'S CANON. CD1 : You've heard of “Biofeedback?" well, this is BIOFEED ! Extremely relaxing and is a long sustained delta sleep voyage healing the listener back to the wholeness and oneness of all being. CD2- 3rd track : A shamanic healing ritual performed in protective secrecy. inner beauty. It celebrates the richness, multiplicity, magnificence, abundance of Creation. It is a harmonic, spatial and powerful journey into the different realms of the cosmos within. 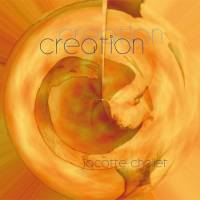 A powerful and pleasurable experience of being at one with Creation. Excellent for auto hypnosis, development of extrasensory perceptions & of subconscious latent potential. Hemispheres synchronizing. SPECIFIC THETA FREQUENCIES present in the CD help retrieve deeply rooted traumatic memories as well as opening to COSMIC INTUITION and CREATIVITY. ACTIVATING ALPHAWAVE ANGELIC ARCHITECSONIQUES ! MUST HAVE album for those who love angelic synthesis! What a truly amazing and satisfying recording this is! I would think anybody with a love & appreciation for Angelic or Ascension music would really enjoy this album. I swear my toes were curling by the second minute of the second song & the rest was a feast for the senses. The name of the album is CREATION, and that is indeed what it is about: feeling creative, thinking creatively and creating realities. Active and energizing, while at the same time very suggestive on a visual level. 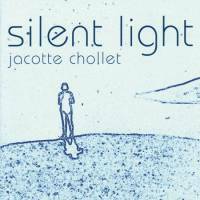 SILENT LIGHT is a very quiet, very still bath into the seas of tranquility and simplicity. It brings regeneration through peace. It is a journey back to the source of integrity where we can drink the clear waters and experience the silent light of our soul. “Glissando sounds" magnetize the listener to the center of his sacred inner sanctuary. Probably the gentlest and most lovely of the MultiDimensional music set, Sweet like honey. The mysterious home of the Dakini. 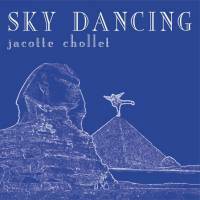 With the CD SKY DANCING you are in touch with spirit, you transcend your limits, you can dance on the top of the pyramid! You are flying into the ethers. The tonalities of this beautiful album are very subtle and recall the realms and the vibrations of interstellar spaces. It is a transcendental, nurturing, compassionate journey. Good for inner cleansing, spiritual lucidity, meditation, inspiration, autohypnosis, access to transpersonal states. Excellent CD when in need of decision making or radical habit change. UNIQUE ULTRA MYSTERIOSO UNDULATING EUPHONY. Surrounded by an incandescent, rarefied atmosphere, filled with geometric lattice lacings that are at once crystalline and electromagnetic. We are so Light we can float in the medium. It is dancing all around us, the sky is dancing, the heavenly vault within. Amazing! One of the most difficult albums for me to describe because its quality is SO unique ! so that you may reconnect with your source and consciously activate your own accomplishment. Etheric tonalities transport us into subtle spaces so that we may celebrate our re creation. Theta waves favor re distribution of information in our DNA. SONIC QUANTUM LEAP PROVIDES FRESH CHALLENGES. Deeply transformative vibrational biofeed of spiritual essence. What I can tell you is that this dis is loaded with spiritual information on a very high level. Deeply transformative vibrational biofeed of spiritual essence; only rarely have I experienced such a full scale vertebral realignment and NEVER while neither being worked on by a therapist nor actively stretching or exercising. Suddenly my sine arched & the vertebrae realigned…: it was almost like someone had “cracked" my back for me ! CD1 : INSPIRATION (YIN) This exquisite CD opens a sweet, subtle, tender connection with the throbbing heart of our being. It provides gentle integration of our feminine polarity. Its gentle vibrations convey feelings of delicacy, inner freedom, tenderness, gratitude and true love. Let yourself be gently inspired in order to solve any problem that may arise, & to become yourself a source of inspiration for others. Let yourself be lulled & soothed by its harmonic tones. CD2 : ASCENSION (YANG) Is a powerful sonic inner space shuttle providing instant access to the higher realms of our consciousness. Good for integration of our cosmic self & manifestation of its infinite power. CD1 – THE FIRST OF EXCELLENT 2 CD SET OF PURE GENIUS. Amazing ascension electronica setting new pace for 21st Century. If the classic Jean Michel Jarre Equinoxe/Oxygene music became angelic music with a quantum twist, THIS is what it would SOUND LIKE! CD2 – CULMINATING MASTER STROKE ALBUM. Beyond language and truly from the Beyond. DIVE DEEP WITHIN THE UNCONSCIOUS & INFUSE YOURSELF WITH THE SUPERNATURAL LIGHT. An amazing soul journey to the subquantum Reality. Perfect balance between high, medium and base sounds. A LOVING vibration opens the heart chakra and connect with forgiveness and compassion. GOOD FOR : ANTI STRESS, gentle healing of energetic envelope, emotional integration. SELF confidence, multidimensional reconciliation within and around. 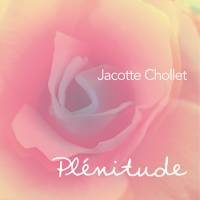 Jacotte's mastery of the medium is evident in one's continuous sensual, emotional and intellectual pleasure of being effected by these mysterious sounds. A flooding of the body and its fields with love flowing out from the heart in all directions. ESSENCE Crystal sounds providing multidimensional aligning and holistic transformation for easy adaptation to the NEW. 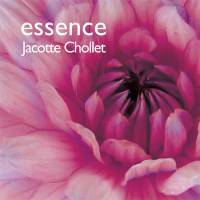 Tender, fluid, energetic, regenerating, ESSENCE IS AN ESSENTIAL CD. Free Access to transcendental states, MULTIDIMENSIONAL aligning, Purification, Hemispheres synchronization. Self regeneration, Access to unconditional love. Joyousness and bliss supreme waft through one’s soul as the music carries the listener deep into psychic spaces of healing and communion. It feels like caressing care, like receiving the patient, loving ministrations of an experienced healer. Like a Love regardless of what I’ve done. This is the Budhic or Causal level of the Masters and the Subtle level of the Archetypes & Divine Energies. 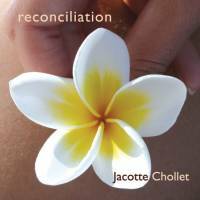 Jacotte Chollet continues to produce intriguing and uplifting music. To vibrate in tune with the heartbeats of the universe and dissolve attachement to old patterns of duality. Becoming aware that “we are one”. A bath of pure energy and unconditional love with our head in the stars and our feet on the ground. GOOD FOR : Unconditional love, let go, new consciousness, resourcing, unifying, regenerating, multidimensional harmonizing, healing. 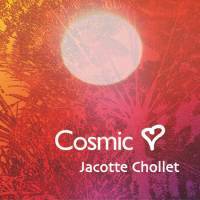 Jacotte Chollet has created, with COSMIC HEART, a delightful album of multi-dimensional visionary synthesis. Because of the transformative intensity of these vibrations, being exposed to them will probably initiate deep internal processes best suited to private contemplative and therapeutic settings. The last track, Cosmic Heart, amps the energy up several times so one can really charge the system. This process also begins an integration of intense cosmic energy which seems to coalesce around the basic topic of the immense transformative power of the awakened individual and its realization of its identity with Divine Universe. The rhythm in this composition is much like the heartbeat and blood pumping. It would seem that this is immersion into the Pulse of the Cosmic Heart. This CD reduces the destructive effects of stress, balances the bioenergetic field and gently helps recovering from states of depression. It is an efficient guide towards deep states of inner presence, meditation and self hypnosis. GOOD FOR : Meditation, Massage, Stress relief, Deep relaxation. 62 minutes of happiness that will anchor you in peace, light, joy, clarity, freedom and well being ! The vibrant energy of bliss and serenity engendered by this CD is powerful food for our cells and efficiently counterbalances the destructive effects of stress caused by fear, anger, suffering and excessive mentalizing. 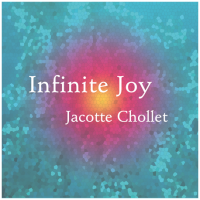 CD INFINITE JOY is recommended to all who are eager to experience living in the present and long to let go of concern for the past or the future !